CNBC reported Wednesday afternoon that Apple CEO Steve Jobs' health problems were worse than previously thought. Apple Inc.'s CEO Steve Jobs says he is taking a medical leave of absence until the end of June. Apple's stock plunged 6 percent. Jobs, 53, said in a letter last week that he would remain at Apple's helm despite the hormone problem, and that he had already begun a "relatively simple and straightforward" treatment. But in an e-mail to employees Wednesday, Jobs backtracked. "Unfortunately, the curiosity over my personal health continues to be a distraction not only for me and my family, but everyone else at Apple as well," he wrote. "In addition, during the past week I have learned that my health-related issues are more complex than I originally thought. In order to take myself out of the limelight and focus on my health, and to allow everyone at Apple to focus on delivering extraordinary products, I have decided to take a medical leave of absence until the end of June." Apple's shares have surged and crashed over the last year in step with rumors or news about the CEO's health and his gaunt appearance. While the top executive's health is an issue for investors in any company, at Apple the level of concern reaches fever pitch because Jobs has a hand in everything from ideas for new products to the way they're marketed. Investors fear that without Jobs, Apple will not be able to sustain its growth of the last decade, which has seen Apple branch out from its Mac computers into the iPod and the iPhone. Last week, Jobs said his disclosure of his hormone problem was "more than I wanted to say, and all that I am going to say" about his health. It came on the eve of Macworld, the biggest Apple trade show of the year, and Jobs said he wanted everyone to relax and enjoy the show. Even so, the limited amount of information in that announcement did little to soothe Wall Street's nerves. Medical experts not involved in Jobs' treatment said it was unclear what was behind his weight loss, but some specialists said Jobs' past pancreatic cancer could be the problem, since the organ makes digestive enzymes that are key for nutrition. Apple's history of keeping information about Jobs' health under wraps is only fueling the speculation. The company waited until after Jobs underwent surgery in 2004 to treat a very rare form of pancreatic cancer -- an islet cell neuroendocrine tumor -- before alerting investors. That type of cancer is easily cured if diagnosed early, unlike the deadlier and more common adenocarcinoma. Apple's chief operating officer, Tim Cook, will take over Jobs' responsibilities while he is on leave. Learn who Tim Cook is on the Wall Street Journal. Cook is seen as one of Jobs' most likely successors, along with Apple's top marketing executive, Philip Schiller. American Technology Research analyst Brian Marshall -- who last week predicted Jobs would step down this year -- said Wednesday's announcement tips the bets in Cook's favor. Cook lacks Jobs' charisma and showmanship, but is seen as a solid pick otherwise. CNBC reporter Jim Goldman said that, based on two sources, Jobs is having "dire" health problems and they were "deeply concerned" for him. 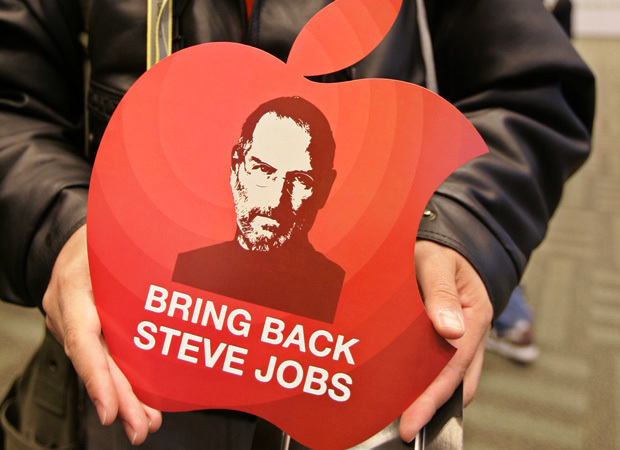 The Wall Street Journal reported that Apple did not give any further details about Jobs' absence. But after last week's announcement that Jobs was suffering from a hormonal imbalance, Jobs admitted that he was being treated to gain weight that he expected to put back on by late spring. He told the world in a letter he released that he had a "nutritional problem" and that he was already being treated for it. Jobs announced in 2004 that he had undergone successful surgery to treat a very rare form of pancreatic cancer. The Cupertino, Calif.-based company's stock sank $2.38 today, or 2.7 percent, to close at $85.33. 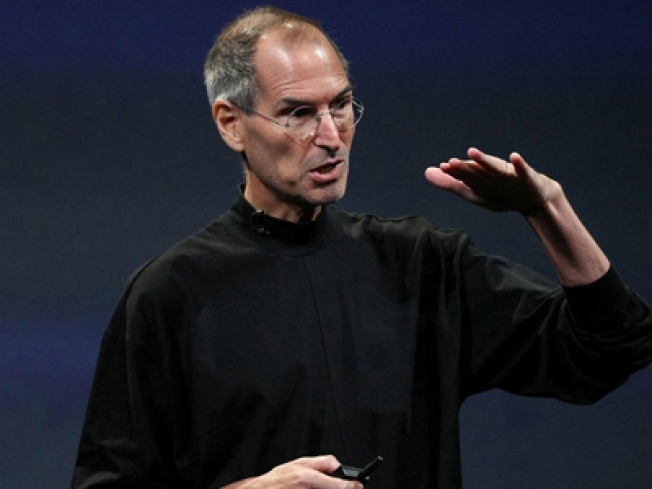 "Mr. Jobs is viewed as a mastermind of American business since his triumphant return to Apple in 1997," the paper wrote. "Since then, the company turned from a niche player in personal computers to a maker of gotta-have tech gadgets like the iPhone and iPod. Apple now is the No. 3 PC maker in the U.S. with a nearly 18% share." The letter came just a week after Jobs told the world he was suffering from a hormonal imbalance. The timing of the announcement had experts and bloggers across the world asking if Apple lied about the severity of Jobs' health last week? Did Apple Lie About Steve Jobs's Health?